The Trial of Mary Dugan (1929) was Norma Shearer's talkie debut (with sound recorded by her brother, MGM's chief sound engineer, Douglas), and considering the dramatic fireworks surrounding the title character, it must have been a naturally powerful choice for one of MGM's biggest leading ladies to sink her teeth into. The original play of the same title, starring future RKO star Ann Harding as Mary Dugan, ran for one year on Broadway from 1927-1928 before MGM bought the rights and produced their film version. The finished product is faithful to the source material, almost slavishly so, and for those who love courtroom dramas, this one lives up to its title, as the meat of the movie focuses squarely on the trial of a woman caught in the wrong place at the wrong time. 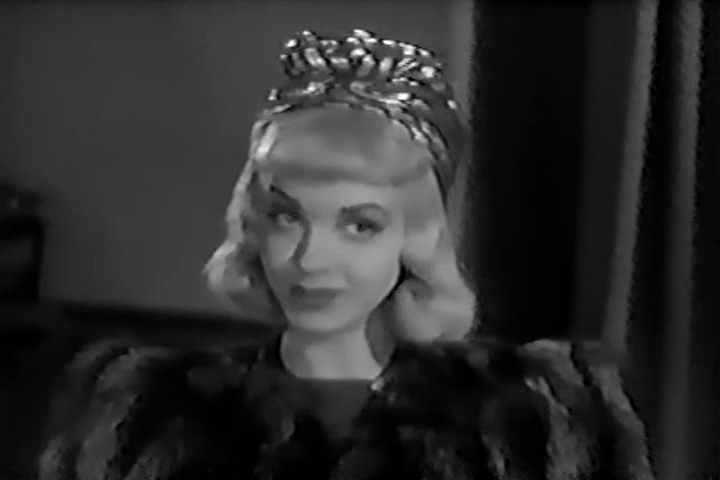 Mary Dugan is the real name of "Mona Tree", a Follies showgirl carrying on an affair with wealthy married businessman Edgar Rice. As the film opens, police rush to Mary's apartment and find her weeping over Edgar's cold dead corpse, a knife jutting out of his back as she wails for a mysterious Jimmy. 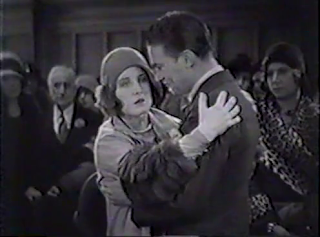 Mary is arrested and quickly put on trial for the murder, her passionate lawyer Edward West (Judge Hardy himself, Lewis Stone) butting heads with district attorney Galway (Jesus in DeMille's King of Kings (1927), H.B. Warner). We see a parade of witnesses, including the coroner, the arresting officer at the murder scene, flirty blonde party girl Dagmar Lorne (the always interesting Lilyan Tashman, who died far too young), and the widow Rice (Olive Tell, best-remembered for The Scarlet Empress (1934)) before learning who Mary's beloved Jimmy is: her lawyer brother (Raymond Hackett), who valiantly rushes into the courtroom to defend his sister. 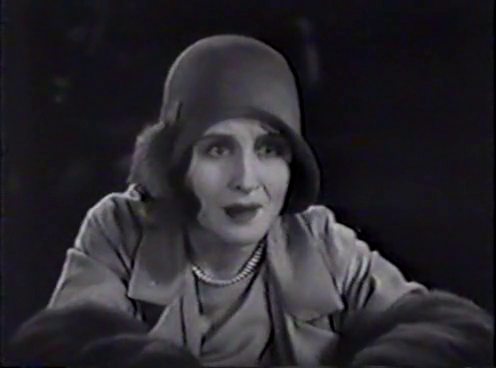 Like many early talkies, Mary Dugan is a challenge to sit through, especially with an almost two-hour running time. Even the conclusion is a dud. While it may have historical value for its place in Shearer's run as one of MGM's leading stars, it suffers from the expected creaky antique nature of sound film production in 1929, a novelty that wears thin rather quickly. 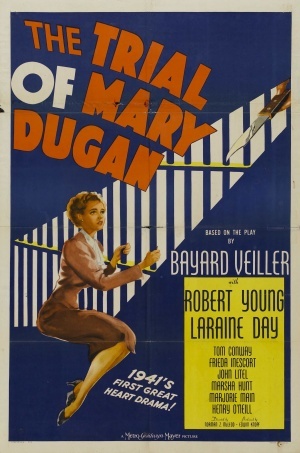 Contributing to the film's stagy feel is the fact that it was directed by the original Broadway play's author, Bayard Veiller. Veiller had directed a handful of silent films for Metro Productions before its merging and morphing into Metro-Goldwyn-Mayer, and would never direct another film after this one (though he did migrate to Paramount to produce some B-pictures for Adolph Zukor). Viewing his handiwork here, it's not entirely surprising. Outside of some visually inventive moments (the dazed confusion of Mary as she enters the courtroom, for instance), this is your standard early talkie layout: stationary camera, long takes (with flubbed lines left in), limited sets and locations. In fact, virtually the entire film takes place in the courtroom, which greatly contributes to the static mise-en-scene and languid pacing. Later films, including legal dramas, have taken place largely or entirely in one room (1957's 12 Angry Men is probably the most recognized), but they've been successful as the sum of their parts, namely the performances, script, direction, and editing. None of these elements are effective in this staid courtroom mystery. In the case of Mary Dugan, while there are moments of interest, it's ultimately a vintage curio that remains difficult to see for a reason. The sole reason for anyone to see this film is Shearer, though I imagine only the most devoted of her fans would consider this an essential piece of her filmography. In her introductory scene, the first time an audience heard her, Shearer whines and weeps hysterically, her scenery-chewing painful to watch and listen to. It's hard to believe that the very next year she would be winning the Best Actress Oscar for The Divorcee (1930), though, to be fair, that performance is a vast improvement over her display here. Thankfully, her big scene on the stand, which lasts an impressive 25 minutes, hints at the greatness to come for Shearer in the 1930s. She's not surrounded by any other terribly memorable performances, though Warner makes for a compelling villain, even with his multiple flubbed lines. Besides Shearer, pre-Code fans may also enjoy several instances of early Hollywood salaciousness, including much talk of Mary having multiple lovers before becoming a kept woman, including when she "sold herself" for $100. 12 years after the profitable release of Shearer's Mary Dugan, MGM decided to pull the play out of mothballs for a remake starring Laraine Day, one of the studio's most underrated dramatic actresses. Today, Day is best-known for an assignment off the MGM lot for independent producer Walter Wanger, in Alfred Hitchcock's Foreign Correspondent (1940), and she also made strong impressions in Mr. Lucky (1943), I Married a Communist (1949), and particularly The Locket (1946), all for RKO, where she would deliver arguably her best performances over the course of her career. However, at her home studio, despite being voted the most promising new star for 1941 in a national theatrical exhibitors' poll, Day seemed to be constantly struggling to be given A-material typically reserved for brighter shining stars like Joan Crawford, Hedy Lamarr, and Greer Garson. Metro got the most out of her by casting her as the love interest to Lew Ayres in his Dr. Kildare series, ensuring steady employment as long as audiences turned out for the popular series, but, like those films, all of her subsequent star vehicles were strictly of the B category. And One Was Beautiful (1940), A Yank on the Burma Road (1942), and Fingers at the Window (1942), while genuinely entertaining and highly recommended viewing, are not any indication of MGM having much faith in a promising young actress like Day. Even Journey for Margaret (1943) casts her in the shadow of little Margaret O'Brien. From the very first scene, the 1941 Mary Dugan is a completely different beast from its predecessor. For one thing, it's cinematically dynamic. The MGM studio machine was, by 1941, a well-oiled entertainment assembly line, so even a moderately-budgeted effort like this one was produced by exceptional technicians, journeyman directors known for solid meat-and-potatoes seat-fillers (like this film's Norman Z. McLeod), and casts filled with stars on the rise or memorable character actors given substantial material to do their best with. This is one polished film considering its lack of prestige. But of course, it's an MGM production! Making things more interesting is that the stage-bound courtroom theatrics of the original play and film have been transformed into a soap sudsy women's picture. Ten years earlier, this particular script would have made a gangbusters Joan Crawford rags-to-riches tale. Story-wise it has nothing in common with the original play or film except the title. We open at a girls' reformatory and meet young Mary, imprisoned by the juvenile authorities for grand larceny and given six more months of detention on the very day she's supposed to be released for throwing an ink bottle at cruel instructor Miss Matthews (Sara Haden, always a great sourpuss). Our feisty heroine refuses to accept the additional sentence and escapes, hoping to reconnect with her father John, himself an ex-con whose past crimes have haunted him to the present day. Tragedy strikes when dad is killed in an auto accident as he rushes across the street to reunite with Mary, leading her to seek a pseudonymous existence as "Mary Andrews", working as a secretary for the man who mowed her father down, wealthy industrialist Edgar Wayne (Tom Conway, sounding identical to his brother, George Sanders). 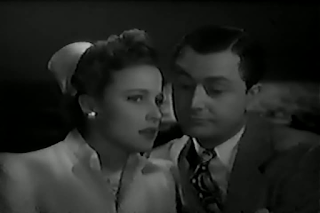 Wayne's lawyer, Jimmy Blake (Robert Young, another MGM player who generally fared better at other studios), takes a romantic interest in Mary, but when he proposes marriage and bringing her to Chile with him for a new job, she begs off to keep her identity a secret, naturally leaving a sour taste in Jimmy's mouth. Leaving her for greener pastures in South America, Mary seeks solace in the arms of Wayne, who's known her secret for years and is conveniently unhappily married to an ice queen (Frieda Inescort, easily the worst actress of classic Hollywood). Flashing forward a year, Jimmy returns from Chile and reads in the newspaper of a sensational murder trial surrounding his former paramour, accused of stabbing Wayne to death. Here is a rare example of a low-budget remake of a popular A-level studio picture that exceeds the quality of the original on its own considerable merits. Using the title and basic skeleton of Veiller's story, an entirely new screenplay is erected and anchored by a compelling central performance by Day. Where the 1929 Mary Dugan is a much more vivid example of a courtroom drama, the 1941 film is largely melodrama, no doubt influenced by enforcement of the Production Code erasing Mary's promiscuous lifestyle as a showgirl and the nature of her affair from a 1940s version of the script. The titular trial comes 35 minutes after the first third of the film has established the relationships between Mary and the men in her life, however predictable they may be. As with any good B-movie, the story moves along at a brisk pace and the cast is aces, capably holding your attention for 90 minutes. What makes this grand departure from the original story so satisfying is that we learn to love and root for Mary. Shearer's Mary Dugan is viewed almost entirely in a courtroom, with her story embellished by lengthy monologues giving us backstory in static close-ups. Day's Mary Dugan is a much richer and developed character with a clear journey we follow visually and thematically. Gone is the gallant brother Jimmy Dugan swooping in to save the day, replaced instead by romantic interest Jimmy Blake, giving added emotional weight to her defense. 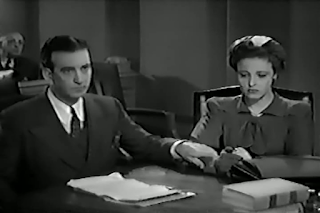 While the last two-thirds of the film involves the trial, we leave the courtroom to follow Jimmy's investigation into the crime and trying to prove Mary's innocence, expanding the scope of the melodrama beyond the walls of the courtroom and into the lives of those involved with the trial. The final twist remains the same, but it's considerably more effective than the rather goofy denouement of the Shearer version. Is the 1941 Mary Dugan a great film? Not at all, but it's head and shoulders above the 1929 original, and fascinating as an example of economical filmmaking on the lot of the greatest classic Hollywood studio, where even a B-picture was given A-level affection. It also helps that the cast is made up of infinitely more interesting performers than the 1929 film. The marvelous Marsha Hunt, vocally grateful for her time at MGM where she played a wide variety of different roles, yet never became a star (though she seems to have wanted it that way), is Mary's best friend Agatha, first seen in her original ravishing brunette hairdo before reappearing in a platinum blonde wig after landing a gig as a Follies showgirl. John Litel, replacing Lewis Stone as Mary's original lawyer, is a welcome presence, as are Marjorie Main doing her blustery hillbilly routine as a helpful landlady and an uncredited Ian Wolfe as the county coroner. Young and Day would reunite for the aforementioned Journey for Margaret and, as there, are a playful, endearing couple with special chemistry here. Wow. What an impressive article. 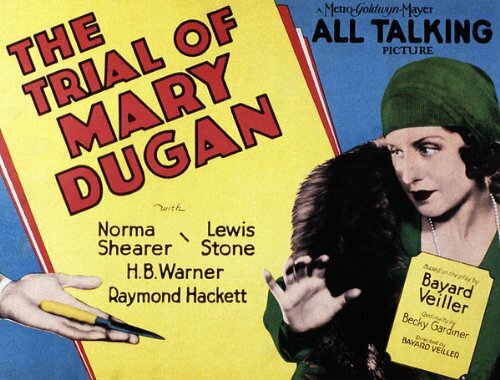 I've seen the 1941 version of "The Trial Of Mary Dugan" years ago, but can't remember much about it. I have never seen the 1929 version, though after reading your analysis, I'm interested to watch them both and compare them. I'm also hosting a blogathon next month, and would love to invite you to participate. The link is below with more details. 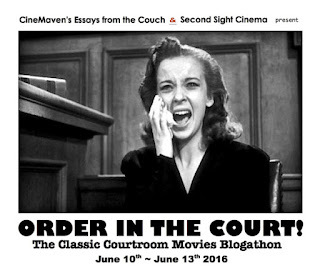 Hi Casey ~ I appreciate your participating in our Courtroom blogathon. I'm a Norma Shearer fan...for better or for worse. Good comparison between both the 1929 and 1941 versions. For me, there's something about those stilted stagey new-to-talkies films. Thanks again. I liked how you compared the 1929 and the 1941 versions. I haven't seen either, but I'm going to take your advice to an earlier commenter and watch both. Also, I agree that Laraine Day is criminally underrated. Absolutely LOVED her in The Locket, and I'm looking forward to seeing her in Mary Dugan. Wonderful post! I really enjoyed the comparison between the two versions, and I hope I can see both someday - because I love early talkies, no matter how dull, and also because I need to discover more of both Norma and Laraine. Thanks for introducing this film to me. Terrific work, Casey! I'm going to seek these out. As you read this, I am probably watching a movie. Copyright (C) Casey Scott. Awesome Inc. theme. Powered by Blogger.